RSTickets!Pro is the Joomla! 3.x-ready professional ticketing system. It offers full control over ticket management, staff members and groups permissions, graphic reports, receiving tickets by email and a knowledgebase system that allows bringing more support information to your customers. Available for both the website's backend and frontend, the ticket management areas provide all the tools and information you need to properly work with your ticket listings: advanced search filters, a handful of ordering options, tickets can be deleted and are fully editable (status, department, the ticket's text and replies, priorities and assigned staff members) and the most relevant information gets displayed. When submitting a ticket, the customer needs to associate it with a department. 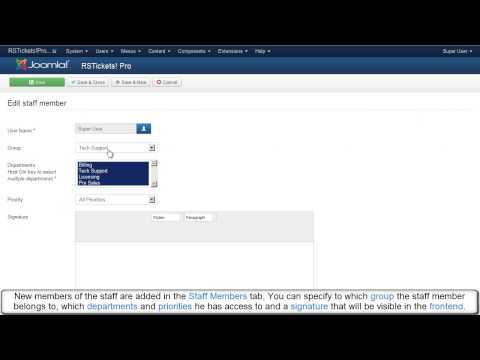 RSTickets!Pro's departments are customizable - you can create, per department, any number of custom fields that will be present in the ticket submission form, so you have full control over what information you gather from your customers. A large number of fully configurable email messages can be sent at key points of the ticket or reply submission process, helping you to keep your staff members and customers informed of their conversations' status. Each member of your customer support team needs to be associated with a staff group that will provide configurable submitting (staff members can be allowed to submit tickets themselves), replying, viewing and updating permissions. You can also only allow staff members to access tickets that have a certain priority or that are associated with a certain department. 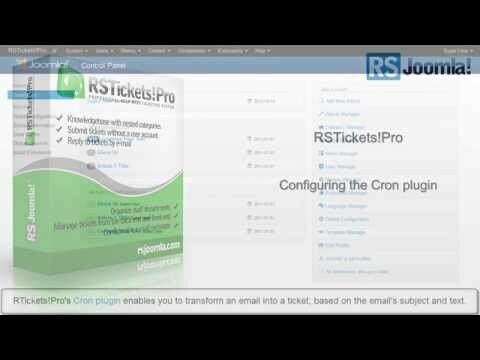 The Cron plugin allows you to transform all email messages that are being received on a certain account into tickets. 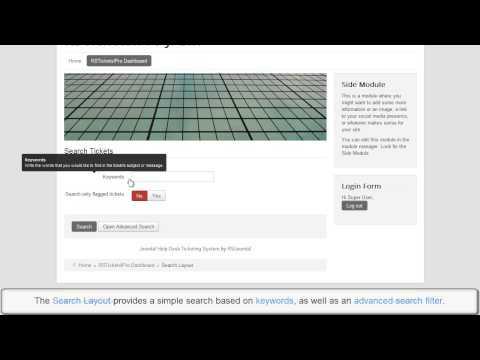 This greatly reduces your customers' effort to send you a support request. It also keeps all your requests gathered into one place, so you don't have to waste time searching through received emails. With the Reporting feature, you have access to detailed graphs concerning the activity of your customer support team. You can review reports on the number of submitted tickets, ticket solving time, number of replies, customer feedback, response time and assigned tickets, and filter them by time period, department, staff member, customer and priority.